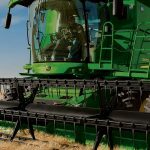 When it comes to financing your next tractor or other equipment for your farm there are a number of options open to you. 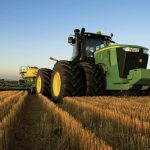 Before financing your tractor or agricultural machinery, there are a few questions you need to ask yourself regarding equipment suitability including will it be an ongoing asset that you expect to use for many years to come? We offer you some options for your consideration. Each option has its own advantages, though the method of financing your equipment will ultimately depend upon the outcome you require. 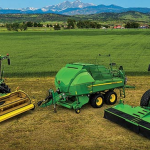 We have the finance solutions for your next farming equipment purchase. Renting vs Purchasing Tractors Rented equipment does not appear on a balance sheet and does not affect your credit rating. 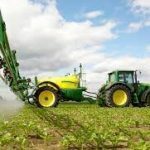 It improves the return on assets and allows you to acquire the use of a tractor without capital outlay. You may only need your tractor for a given period of time, making purchase impractical. Rental is a good option when the use of the asset is based on the duration of a job, but that duration is not specifically known. Rental paid for assets is tax deductible, meaning that you are able to offset the cost of the rental against your stated income. Other benefits include: known costs for an unspecified period of time, your assets can be constantly upgradable to the latest technology (allowing you to operate at peak efficiency) and maintenance costs are borne by the rental company. 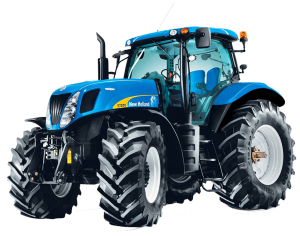 Leasing Tractors Leasing allows you to know in advance exactly what your outlay will be and would be ideal if you need a tractor for a known period of time, without ownership being the required outcome. A benefit of leasing an asset such as a tractor is that it is tax deductible. Furthermore, budgets for a specific contract can blow out significantly when unexpected, such as incurring additional rental costs. A short-term lease will prevent the occurrence of similar adverse situations and the lease may be extended, modified or upgraded upon completion. Our staff would be more than happy to assist you in working out the best way to finance your tractor. Chattel Mortgages Chattel Mortgage should be considered if ownership is the desired outcome of financing your new or used tractor. This works in essentially the same way as a property mortgage, but the mortgage is over a movable asset i.e. your tractor. Ownership of the asset is conferred upon the owner once all payments are made, including the final payment. The Mortgage over the asset is removed and the Title of Asset is transferred to the owner, though ownership of the asset is implied throughout the term of the mortgage by the purchaser. This is currently the most common method of equipment financing in Australia. Work Smarter with Chattel Mortgaging Why choose Chattel Mortgage to finance your tractor? 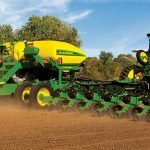 Whether you are a hobby farmer or a contractor with ongoing work that requires specific equipment, outright ownership of your asset may be the outcome you desire. Although other finance agreements such as Hire Purchase would share the same result, the latter is expensive and does not imply ownership at any point until the end of the contract period. There is an option to purchase the asset upon payment of a one-off figure. However, non-payment requires the tractor to be returned to the Hire Purchase Company upon completion of said contract. For more information about our approach to delivering exceptional agricultural finance to clients throughout Australia, please call us on 03 9561 8876.